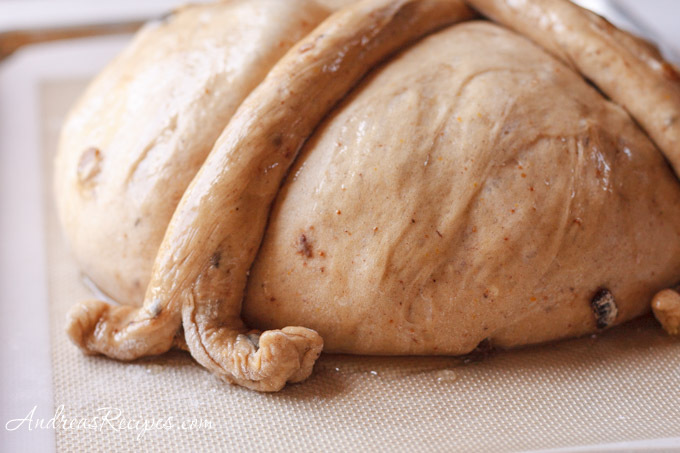 Even though it was originally intended for Christmas, this is a bread I would gladly bake any time of year. 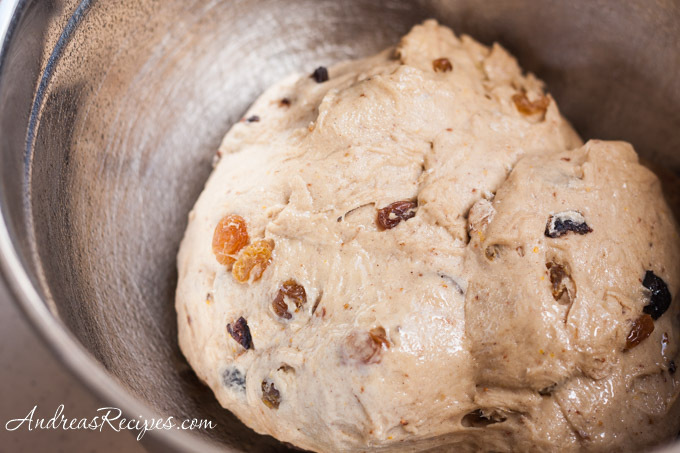 The BBA Challenge bread for this week was Artos, Greek celebration breads, and I chose the fruited Christmas version, Christopsomos. 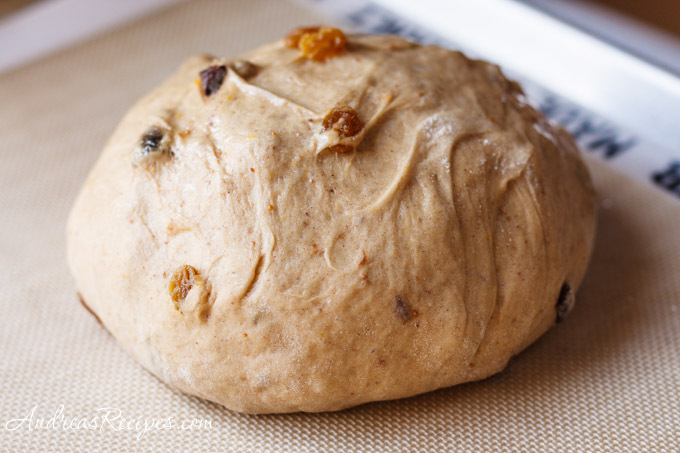 My family adored this orange and spice flavored bread, and I can easily imagine making a delicious bread pudding or French toast with this loaf. We loved the taste of this bread too. I will make it again for sure. Looks really good. 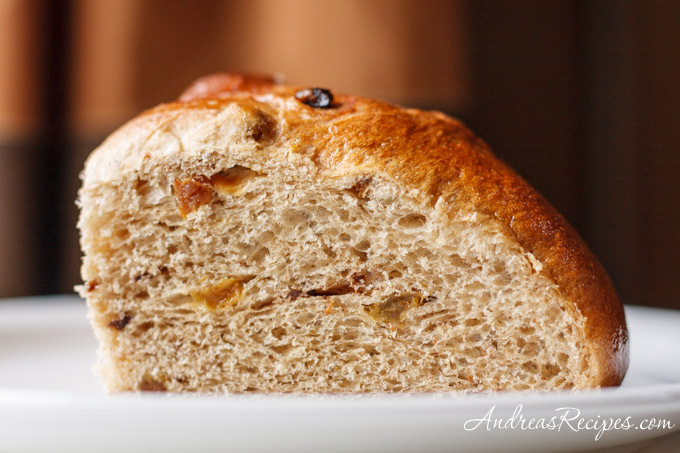 I had made this for Christmas last year & fell in love with this jeweled bread. It’s beautiful! Gorgeous golden crust. Looks spectacular. Love all the little treasures burried in it. I really love that last photo! It looks terrific! 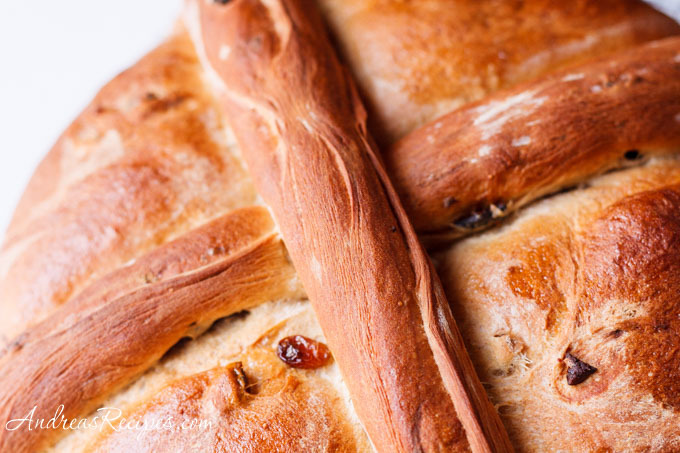 I am definitely going to try the Christopsomos post next time I make this bread. That’s one enticing wedge in the last picture! Hi Annetta. I’ve only made the Christopsomos one time, though am planning to make it again next week, so this is a guess on my part. If you don’t cut it, it should keep for a few days at room temperature, but beyond that, I would wrap it well and refrigerate it.